This 3in kit now includes Clevite brand OEM style bushings, proven to hold up to even the most rough and tumble trailblazers, and features increased vibration dampening. A set of upgraded POM ball joints that offer a greater range of motion for more wheel articulation than standard or OE replacements and feature a Polyoxymethylene ball race with an extremely low coefficient of friction for longer life, and a larger ball diameter to improve range of motion with a maintenance free design. 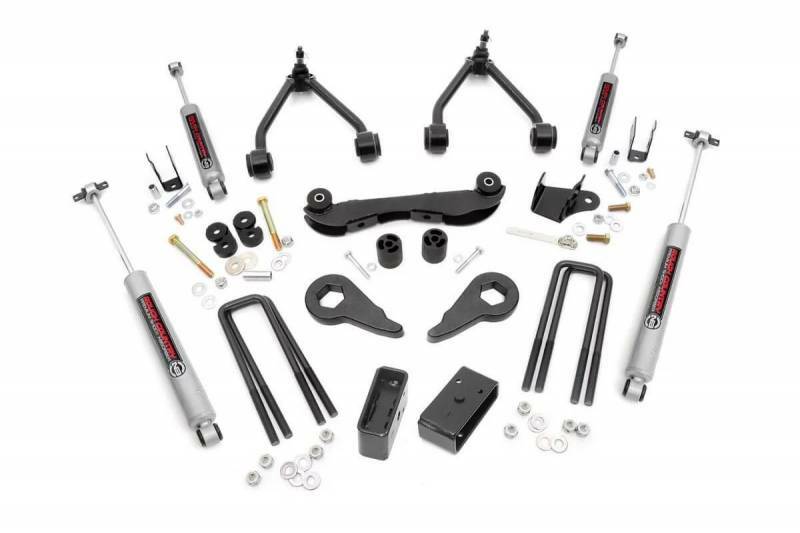 This kit also includes our new N3 Shocks - custom tuned for balanced on and off-road use - as well as forged torsion bar adjuster keys, a differential drop bracket, and rear fabricated lift blocks.